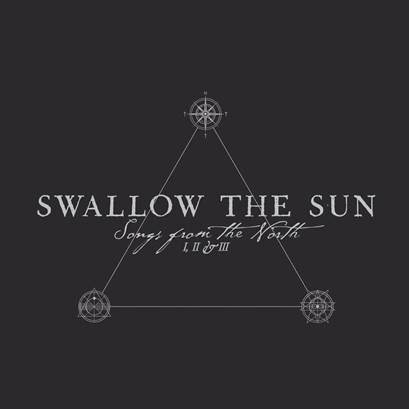 Swallow The Sun Reveals Details On "Songs From The North I, II & III"
The melancholy death/doom masters from Swallow The Sun will bring us a bold, adventurous and characteristically dark triple full-length album entitled "Songs from the North I, II & III" due out November 13, 2015 via Century Media Records. "Making a triple album in this godforsaken digital and modern day and age... Many will say it's madness. I say it is to bring worth, heart and respect back into the music and to the album format where it belongs. This should never turn into a shallow fast food industry where music is only downloaded one song at a time. These albums hold life, death, gloom, beauty and despair in their deepest levels and forms. The three chapters are different but connected, one long journey through these songs written up here in the North. Music is holy, albums are holy. See you on the other side friends." 0 Comments on "Swallow The Sun Reveals Triple Album Details"